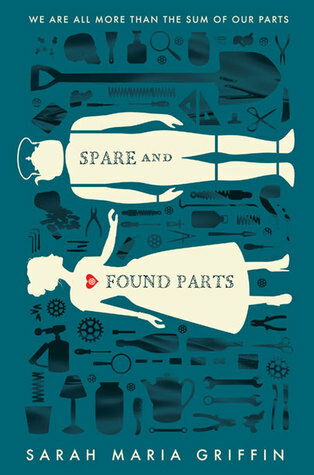 Order Spare and Found Parts Here! 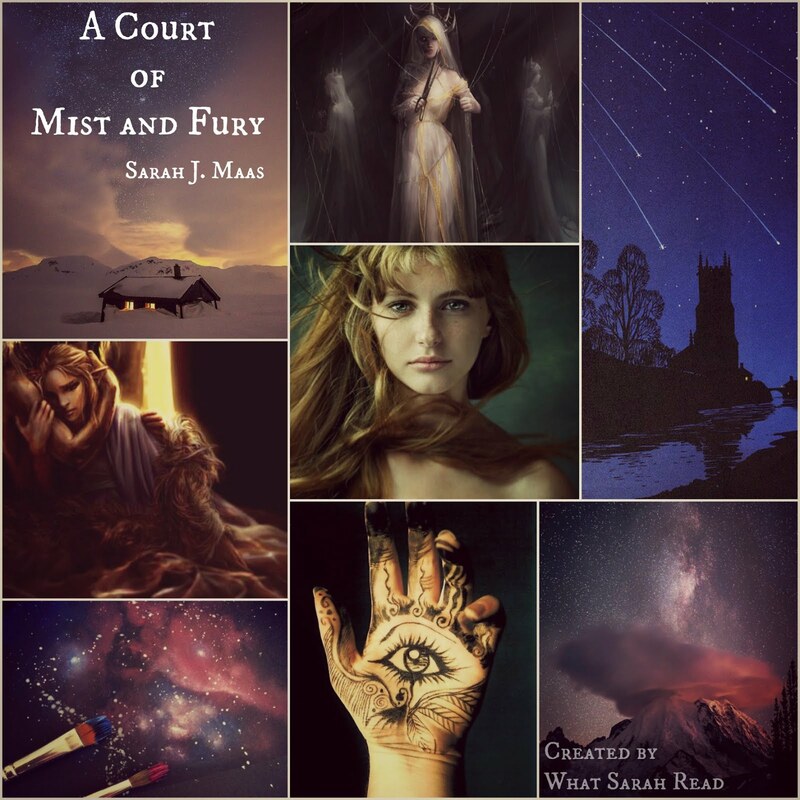 Learn More About Sarah Maria Griffin Here! This book reminds me a lot of Cinder by Marissa Meyer. I know that the story doesn't really have any similarities, but the thought of biomechanically enhanced or altered (?) humans and cyborgs pulled me in yet again. I'm looking forward to seeing that aspect being developed/explained in the book. I know the synopsis mentioned an epidemic hitting the city too, which I believe serves as the background for the story. I love books that involve medical information in any way, shape or form - I think it adds to the complexity of the plot and depth of the story as a whole. In terms of the entire book, I'm very excited to learn about Nell and her father, specifically, the experiments that he has been keeping to himself! I actually just went through Goodreads looking for 2016 books that I haven't heard of before. I came across this one in a fellow blogger's list of anticipated releases, and I knew instantly that I have to get this in my hands once it comes out. Nope! I can see on Goodreads that she has published other books, but I haven't read them. The cover is what drew me in to investigate the rest of the story. There is something just so technical and interesting about it that it captures the eye. It definitely fits with the mood of the book and I'm so excited to actually read the pages between the end covers! I love how there are a bunch of appliances laid out around the cover and that it's also an artsy cover. I also love the color of the cover - I don't think I have a book that matches it! It will be a nice edition on my shelf. This week, for Top Ten Tuesday is a freebie week! This means that there is not an officially assigned topic, rather, you can choose to create your own, or dig back in the Top Ten Tuesday archives and pick one that you have never done. My topic this week is Top Villains That I Love to Hate. I know it's not close to Halloween, nor is it close to really anything that is spooky or scary, but for some reason, I am in the horror mood. If you haven't already, you should read my introduction to Mood Board Monday. Otherwise, you might be kind of lost as to why I'm providing this tiny tutorial. If you read this post first, hello! This is going to be a fairly short post, because all I'm doing is introducing you to the website that I use to make my mood boards & a tiny bit of my process. Of course, before you put a mood board together, you have to find images to use. You can pick as many images as you want, but I suggest anywhere between 4-8 for a mood board that is still easy to make. (Some "Mood Board Makers" have limits on how many pictures you can upload, hence the suggestion). After you find your images and save them somewhere you can access them, you'll want to go to the website https://www.befunky.com/features/collage-maker/. Of course, if you want to find your own website for making these, you can always Google "photo collage maker" or "mood board maker" and then shift through the results until something suits you. This should be the first screen that you see. Click on "Get Started" to enter into the collage maker! Select your language, and then the following screen should be what you see. My photo maker is automatically set for 6 pictures (as you can see by the default pictures to the left) but you can easily change the amount of pictures/layout of the collage that you want to include by clicking the layouts button (the button with the four squares). You can even mess around with other settings such as spacing, corner rounding, and background color too! Below, I've included a list of all of the sidebar buttons and the menus that they can take you to. You can play around with all of these tabs and add new pictures/etc. to your mood board until you are completely satisfied with how it looks. It only took me about 30 minutes to make my first mood board, and that includes the time I spent searching for pictures! The reason I love this photo collage maker is because it isn't only easy to use, but because they have premade graphics and text that you can layer on top of your photo collage. On top of that, it doesn't cost a penny. When you are done, just click the save button to download it to your computer, or the share button to post it across all of your social media accounts. For Mood Board Monday, I recommend downloading it to your computer and then uploading it to your blog post. Now, go out and make your Mood Boards for the great new feature! For Mood Board Newbies: Was this tutorial helpful? Is there anything else that you need to know? Most importantly, are you excited for the new feature? So, for those of you that have been following the blog, you know that I haven't really had a chance to read this year (at least, read as much as I would like to). I've been bogged down by the ending of my senior year, my International Baccalaureate exams in May, and just trying to readjust after all of the stress and chaos (and, don't get me wrong, a very amazing school year) has ended. With that being said, I don't think I have enough 2016 releases to fill this Top Ten Tuesday to my liking. The topic this week was supposed to be "The Top Ten Favorite 2016 Releases So Far This Year", but I haven't read enough 2016 releases. Without further adieu, here are the summaries (and links to reviews if I have published them on the blog) of the Top Books I've Read So Far This Year! Learn More About A.G. Howard Here! I absolutely love re-tellings. Marissa Meyer's The Lunar Chronicles Series (which features several retellings of Cinderella, Little Red Riding Hood and Rapunzel to name a few) is one of my favorite series. I love how authors are able to take well-known stories and put their own twist on them. Even if two authors wrote two re-tellings of the same story, both books would end up drastically different. 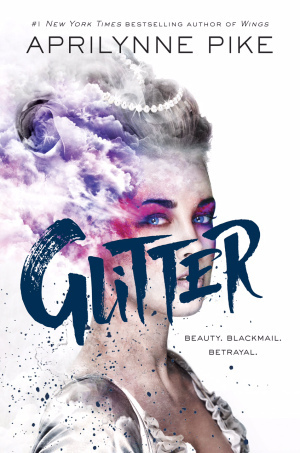 I'm excited for this book because I really want to see A.G. Howard's interpretation of The Phantom of the Opera and see how The Phantom of the Opera plays into the story. 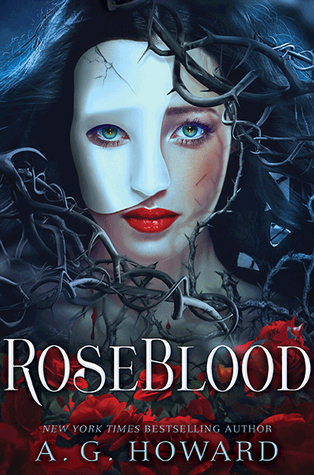 Another reason why I am super excited for this book is that RoseBlood is a spin-off/modern retelling of The Phantom of the Opera! I used to think that authors only wrote re-tellings of fairytales, Imagine my surprise and delight when I stumbled across RoseBlood! I used to watch The Phantom of the Opera all of the time when I was younger. One of my friends had a gigantic celebrity crush on Gerard Butler, so I would watch it with her almost every time I was over at her house. Not to mention, we were (and still are) giant musical theater lovers, so this movie quickly became one of our favorites. I think that we eventually could recite the entire production by heart. (Okay, maybe I wasn't at that level, but my friend definitely was!). I honestly was shocked when I discovered RoseBlood, but I guarantee that this was in a good way! Reading the synopsis brought back a flood of childhood memories for me, and made my need for this book so much stronger! I also love the synopsis, as always. 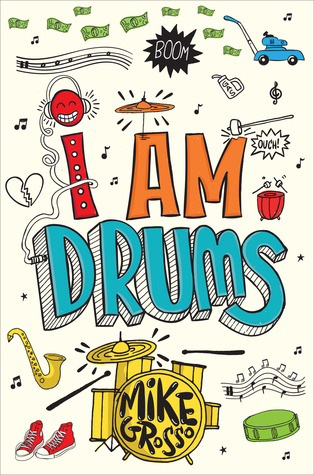 It's a rarity to find a re-telling that isn't inspired by a fairy-tale, let alone a book that features a seventeen-year old musical prodigy. I have a strong love for music and I'm excited that I finally found a character that feels the same way about music. I also know that RoseBlood has been compared to Marissa Meyer's works, so I'm very excited to read this book, since I loved Marissa Meyer's The Lunar Chronicles! I actually found this book through Twitter. I can't remember which user sent out a tweet about it, but it linked to the synopsis. I was immediately hooked on this book and I determined that I need to have this book in my life. Nope! I know that A.G. Howard has other books, but I haven't read them yet! I'm so excited that I discovered her though. I will definitely have to get my hands on her other books. If there was a perfect example of insta-love, this would be it. The cover is not only beautiful and mysterious in it's own right, but it also ties in The Phantom of the Opera beautifully. I love the blue in the cover and how it contrasts with the red of the roses. Also, I think it's extremely clever to feature roses and their thorns. Of course, the cover and the title go beautifully together. I just love that your eye is drawn to the roses in the cover and the title has "Rose" in it! I absolutely adore the title! This book comes out in January of 2017, according to Goodreads! That release date is so far away! I would love to read this book earlier if I had the opportunity! Learn More About Sasha Alsberg Here! Learn more About Lindsay Cummings Here! Zenith is a stellar space tale full of action, suspense, and romance that will leave you thirsty for more! Sasha & Lindsay, you guys did an amazing job with this first part of Zenith. I just want to give a little bit of background on my interest in this book, just because it's origins are meaningful and important to me, and I think we all have a little something to learn from them. If you don't know this already, I'm a teen blogger. I've been blogging for almost two years now, and even before I was doing that, I was watching Youtube videos about books, following authors on Twitter and engaging in friendly, book-related chats with pretty much anyone on the internet. I discovered Sasha's channel right around the time when I was getting started with blogging. It had been a few months since I made my first post on my blog, and I didn't really know what I was doing or how to schedule a blog post so that my readers didn't see seven posts in one day. (Yes, that really did happen!). Needless to say, I fell in love with her channel. Seeing a then high-school student around my own age talk about the books that she loves spoke volumes to me. It was something I had never seen before. I was inspired. I was there for the majority of Sasha's senior year - I saw everything from amazing book talks to exciting news about where she is headed to college. In fact, without her channel, I wouldn't be a part of the Emerson College Class of 2021. I wouldn't have found it to begin with. I found Lindsay on Twitter, like I did most authors at the time. Though I didn't own any of her books then (I remedied that situation) I loved seeing her interactions with other people. She just seems like she is an extremely nice person who loves what she does, and we all need more happiness in our lives like what Lindsey promotes. Though my only real "interaction" with Lindsay has been liking her Instagram posts here and there, I still feel like we value a lot of the same things. I want to be an author too, and I'm battling my own physical limitations every day. Though it doesn't affect my writing as much as it does my mentality and physical state, it's still something I have to work through, and seeing Lindsay work through that has given me the strength I need to work through that too. As you can tell, I have a lot of emotional investment in this book. When I first heard that Sasha and Lindsay were writing a book together, I was so excited! I could instantly tell that this book would be a hit. 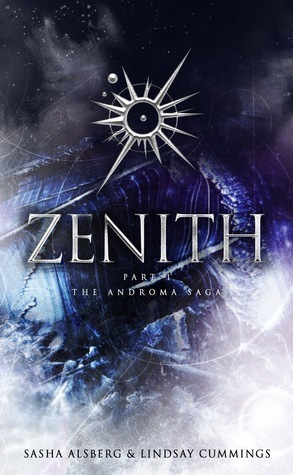 After reading the first part of Zenith: The Androma Saga, I have to say that most of my doubts were lifted. I actually ended up enjoying this read a lot more than I thought I would. I was mainly worried due to the fact that this book had two authors. I was worried that the writing styles of Sasha and Lindsay might not mix very well, that there would be a very clear distinction between Sasha's writing and Lindsay's writing, not because of experience, but because of their individuality and voice. I had worried that the "switch" between writing styles would be too much to handle and that it would distract me from the plot of the book as a whole. But, to be honest, I can't tell you who wrote which parts of the book. I don't even know if they switched off writing in this part, because the flow was that amazing. I didn't really know what to expect when I started reading this book. Sure, I had read the synopsis on Goodreads and seen a few tweets here or there about Zenith, but other than that, there was a very minimal interaction. I wasn't quite sure what to expect, but when I read the first page I was instantly blown away. Who knew you could fit so much ACTION into nine chapters of a book? I don't want to say too much for the sake of spoilers, but the pacing of this action-fueled plot was absolutely perfect. Nothing seemed to drag, there was just enough introduction to all of the characters, and then, the action begins. The one thing I didn't like about this information-loading is that, in the first few chapters, there seemed to be too much world-building. It seemed like conflicts and names of these places were being dropped on me one after the other, and I didn't really get a chance to comprehend or understand it before another piece of world-building was added into the equation. I definitely felt that I could understand the characters based on what I learned about them and their interaction with others, but I still don't feel like I can understand the world as much as I want to. The world-building development seemed way too fast for me, but hopefully in the next installments of Zenith, I can catch up! Speaking of characters, I love the all-female crew of The Marauder! It was very refreshing to see that each of the crew members had very distinct and different personalities. I loved how none of the crew members adhered to a certain literary trope, but had their own unique "quirks" in their personality. I can't say much about the other characters yet, because I don't know too much about them at this point, but I'm definitely interested to see where this adventure will take them. Zenith: The Androma Saga is the young adult book you have been waiting for. I read Part One in less than 30 minutes and I couldn't put it down! This has to be one of the best science fiction novels of 2016. I have never heard of a young adult book with a story as unique as this one. This dynamic group of spunky female space pirates is sure to hold a special place in your heart, and on your bookshelf. I cannot wait to see what is in store for Andi and her crew! Want to read Zenith? Now is your chance! Familiarize yourself with my giveaway policies page (located at the top of the blog) and then enter the giveaway! Learn More About Jennifer Lynn Barnes Here! "This thriller YA is Scandal meets Veronica Mars. Perfect for fans of Pretty Little Liars and Heist Society, readers will be clamoring for this compelling teen drama with a political twist." Earlier this year, I read The Fixer for my school's Battle of the Books (which you can read about here) and I absolutely fell in love. 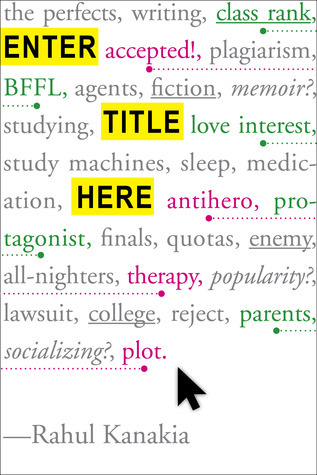 The political genre was new to me, and The Fixer was one of the first books that I had encountered to deal with the "behind the scenes" of Washington and what it really means to be an elite. I have to admit, I didn't really know what to expect as I was walking into this book. I wasn't sure of how the plot was going to play out, what was going to happen, or even how much I was going to like the characters. I was a little skeptical of my personal connection with the characters just because this book is so intertwined with politics. I was scared that the giant scandals and conspiracies that occur in the book would take away from character development. Looking back on it, I'm not really sure why I thought that. If anything, the complexity of the plot, political scandals and conspiracies actually aided the development of the characters based on how they handled each situation. Each character had their own way of dealing with the scandals that plagued their school. Some participated in spreading rumors, others did not. Some rushed to the aid of those targeted, others didn't. Some, like Tess, decided to face the scandals head on. I really loved Tess as a character. Even from the beginning of the book, when it talks a bit about her life on her grandfather's ranch, I felt like I could really relate and connect with her. It's clear to see from her relationship with her grandfather that she is a really caring person. Not only that, but when Tess was living with her grandfather, she was basically living on her own and acting as a caretaker for her grandfather. I really admire her independence and strong-nature. I also really loved to see her character develop through-out the plot of the entire book. I won't say much due to spoilers, but her strong-willed nature really shows through. The Fixer is the only book that I have read which portrays a "rebellious" character in a good light. Tess can be stubborn and can often be considered a "rebel" due to the amount of rules that she breaks, but she does it for the safety and protection of her friends and other loved ones. I really loved getting to understand Tess' thought process and also seeing the justifications for her rule-breaking (though, in all honesty, justifications were not necessary). I admire Tess as a character for many reasons as well. In The Fixer, there are a lot of adults that outright refuse to listen Tess and treat her almost like she is less than human. Even with no support, being told that she is lying and people refusing to listen to her, Tess powers on, still trying to do the very best she can. That is not only a great quality to have as a fictional character, but a great one to have as a person too. Seeing Tess doing what she knows is right, even when everyone else tries to discourage her, shows her strength as a character and desire to do good. Tess is just such a great character and I instantly connected with her. She is one of my favorite characters ever and I am so very happy with how her character changes and develops throughout The Fixer. Ivy's character also started out as a bit of a mystery to me: as a reader, I didn't know a lot about her or how she acts. Her job requires her to be very secretive and as a result, she doesn't appear to be a very open person. However, as the book progresses, you learn more and more about Ivy's life. Let's just say that there is a reason that she has been oh-so-secretive! I also really love Ivy too. I can't really say why without revealing important plot details, but it is so obvious that she cares a lot for her sister, even if it doesn't seem like it at first. The job may have conditioned Ivy to be "stone-cold" but she definitely doesn't behave that way with Tess. Or, at least she tries not to be. Overall, I really loved The Fixer. This book was the first YA political thriller that I have ever read, and it certainly won't be the last. The strong cast of characters, complicated political scandals, and unbelievable secrets will keep you hooked on the plot and guessing until the very last page. This is truly a book that needs to be in the hands of every reader and deserves all of the success that is coming to it. Top Ten Tuesday | Top Debut Books of 2016 That I Want to Read! Because this topic is very similar to what I write for my Waiting On Wednesday posts, this week's post is going to be a list of the books that I am looking forward to from debut authors. I will include the summaries of the books below, but because I really want each book to have the spotlight that it deserves, I'll be delving into why I am excited for each book in future posts. Blue Riley has wrestled with her own demons ever since the loss of her mother to cancer. But when she encounters a beautiful devil at her town crossroads, it’s her runaway sister’s soul she fights to save. The devil steals Blue’s voice—inherited from her musically gifted mother—in exchange for a single shot at finding Cass. Armed with her mother’s guitar, a knapsack of cherished mementos, and a pair of magical boots, Blue journeys west in search of her sister. 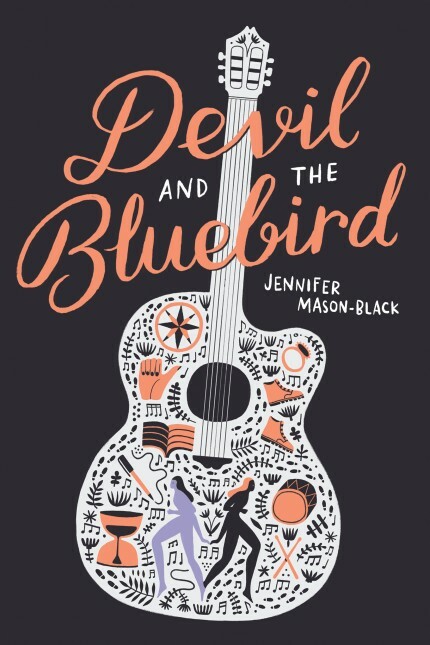 When the devil changes the terms of their deal, Blue must reevaluate her understanding of good and evil and open herself to finding family in unexpected places. Trixie Watson has two very important goals for senior year: to finally save enough to buy the set of Doctor Who figurines at the local comic books store, and to place third in her class and knock Ben West - and his horrendous new mustache that he spent all summer growing - down to number four. 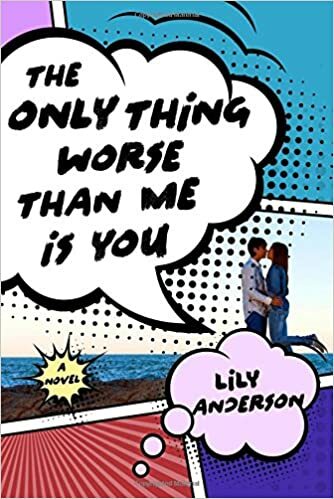 A geeky, contemporary retelling of Shakespeare's Much Ado About Nothing, The Only Thing Worse Than Me is You will be published by St. Martin's Press May 17, 2016.
music program, or why her parents argue so much, or even how to explain her dream to other people. Colter quickly uncovers her secret and is determined to change her mind. After confessing his guilt over his brother's suicide, he promises not to tell her secret. Ellery tries to fight her attraction to him as the shadows of her past cling tight around her, but when she's faced with another tragedy, she must decide whether her love for one boy is more important than a lifetime of pain. What debut book are you most excited for? Has it come out already? Did you read it? (Link me to your review!) Is your most anticipated debut read not on this list? Tell me what it is! Learn More About Aprilynne Pike Here! If I say everything, I don't think that counts as an answer. In all honesty, I read the synopsis for the first time and I just thought that it was so unique! For one, I have never read a YA book where "the past" and "the future" are intertwined so closely. If you know me well, you also know that I love reading historical fiction and dystopian books, so this seems like the perfect fit for me. After reading the synopsis several times, this reminds me of Red Queen by Victoria Aveyard. Not necessarily due to the plot, but the mindsets of the main characters (Danica and Mere) are extremely similar. I absolutely loved Red Queen so I'm interested to see if I will love this one too. Nori from ReadWriteLove28 actually sent me an opportunity to spotlight this book on the Sunday Street Team. I suppose that the "Blogger Buddies" category fits the bill for this one! I just learned about this book today (about the middle of June) and I am shocked that I didn't hear about this one earlier through the grape vine! Nope! I've seen a lot of her books around, especially in my bookstores, but I've never read one myself! You should let me know what book of hers is your favorite in the comments - maybe I'll read a few before this book comes out! The cover is absolutely drop-dead gorgeous. I really hope this is the final cover because I think this cover is the definition of perfection. I love the colors, I love the model, I love the font used too...this cover for me is like a match made in Heaven. The title and the cover definitely go together too! I don't have anything negative to say about the title because it ties into the synopsis very well! I love how the title pops on the cover too. This book doesn't come out until October. I think I can wait that long to read it, only because I have some books that are already on my shelf that I would really like to get to (like The Raven Cycle series) But, if this book magically appeared in my hands tomorrow, I think it would shoot to the top of my to-be-read pile! What do you think of this weeks pick? What are you waiting on? Let me know in the comments below! To my blogging community, I've been holding out on you. I have been keeping a massive secret from you, for what seems like months and years. I have had to watch what I was saying on social media, whether that be from carefully wording each and every tweet and even watching what I retweet. I've had to stop myself, no matter how excited I was, from speaking with each and every one with you about it. To say the least, it has been very hard to do. But now, I can finally reveal what I consider to be the biggest news ever. If you stopped by my blog for my Change Places With Me: Harper Summer 2016 Tour, you would know that I mentioned the idea of starting a series of mental illness related blog posts on my blog. This is for a variety of reasons. I am hoping that this series will open up mental illness for discussion, help to reverse the stigma against mental illness, and remind everyone that you are not alone, no matter what you are going through. This specific discussion comes from Lizzie at Big Books and Grande Lattes. I owe her a huge thank you for writing a post for this series and opening up the discussion on mental health once more. I know that in recent years it has become more acceptable to talk about mental illness. There are days dedicated to mental health and mental illness awareness, therapy has become more popular, and celebrities have shared their stories, but is it REALLY more acceptable to talk about? Personally, I think not. Yes, things have changed. There isn’t as much of a stigma when it comes to mental illness, but that doesn’t mean that it has become easier to talk about when it comes to sharing personal experiences. The moment to tell someone that you’ve suffered from an eating disorder, take Prozac everyday, or go to therapy each week, people look at you differently. This is why I so rarely discuss my experience with mental illness. Throughout my life, I’ve dealt with depression, anxiety, and an eating disorder. Along with those I’ve dealt with body image issues. Things started when I was in elementary school, and gradually got worse when I was in middle school. After the death of my grandfather and having my best friend drop me all of a sudden in hopes of being “popular,” I was feeling really sad and could no longer feel happy. I went to a therapist, but she didn’t think anything was wrong, even though I didn’t feel right. Discouraged, I decided to quit seeing her and thought that I could make myself feel better. 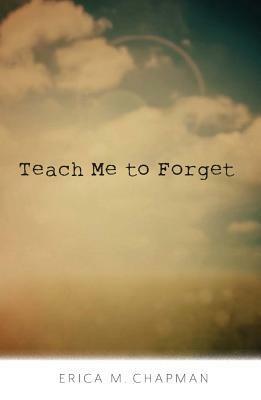 But I couldn’t. During my junior year of high school, I was at my lowest point. I quit doing homework and no longer loved dance, something I had done for over 10 years. After a really emotional World Mythology class, I broke down in tears and told my teacher I had been planning on killing myself. One appointment with the school counselor and one awkward car ride with my mom, I was told by a Psych ER that I was just dealing with teenage angst. However, my mom took me to a couple different therapists to find one I could talk to, and after finding a therapist I liked, and who I then continued to see for about 3 years, I was put on Prozac. I had to open up about my lack of motivation and plans of suicide. I also had to admit that I was hardly eating and had become obsessed with my figure and trying to lose weight, despite already being very underweight. This was caused by dance, where my teachers and other dancers would always comment about how small I was, and that was the only time I received positive attention. In therapy, I had to learn to change my perception of my body and create a positive environment for myself at dance. I was starting to feel better. While I was getting better in therapy, everything else was unbearably painful. I couldn’t talk about how I was feeling with anyone. My mom kept asking me what she did wrong and how she screwed up being a mother, my dad was hardly around, my sister was too young to understand, and my friends became uncomfortable when I would bring it up. No one knew how to react. No one knows how to react. That’s why I never bring it up. While I no longer take antidepressants, become a wreck at the thought of leaving the house, and starve myself, I know that people's perception of me will change if I tell them about what I dealt with for years. I know that they’ll see me as a girl who’s had issues, who’s needed to take medication for an illness that no one can see. An illness that many people don’t believe is real or think that can be healed by thinking positively. People always feel the need to see symptoms of an illness to prove it’s real, but how do you prove an illness that’s internal and that only you can feel? With this focus on external symptoms, you feel like your mental health is invalid. You feel guilty because there are people with physical illnesses, and yours is internal. It’s become a competition of “Who Suffers More?” If you have a mental illness, you’re always going to lose the competition because your pain isn’t visible. So what’s better: suffer in silence or feel like your internal illness is invalid? Lizzie, thank you so much for writing this incredible post. I know it might not be *truly* acceptable to talk about yet, but your post and words are helping to change that atmosphere for the better. Please utilize the comment section below! You can share words of support and encouragement, discuss this specific post as well as other aspects of mental illness. Remember that this blog is a safe space and absolutely no hate will be tolerated, so please read your comments carefully before posting! As always, be sure to check out Lizzie on Big Books and Grande Lattes, or @LizzieSarcastic on Twitter!